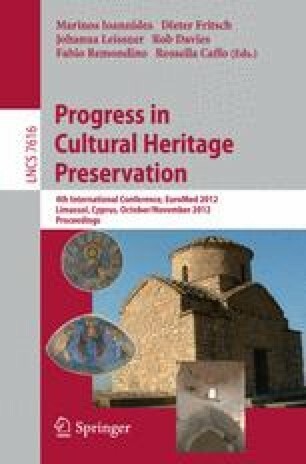 Documentation of monuments includes not only geometric analysis but also the detection of alterations and pathologies to define proper actions for protection and preservation. Several pathologies can be found on façades such as moisture, detachments, leaks and replacements. Multispectral techniques can help users to detect and determine these phenomena. Thermography is a non-intrusive imaging technique that allows the inspection of different materials and related issues based on their temperature. It has the advantage of reaching unapproachable areas onto and below the surface. However, there are still many issues in thermography when applied to cultural heritage surveys. Depending on the application, multitemporal images can be captured and combined with conventional images to analyse its state of conservation. This paper presents an approach based on multitemporal thermal imagery to detect alterations on building façades. Methods and tools of multispectral analysis targeting the detection of alterations and pathologies are presented and evaluated.